1. Are Black Diamonds Real? Black diamonds, as well as Natural Fancy Black diamonds are real. However, the black color in the first group is not achieved naturally. It is the result of heating treatments. Natural Fancy Black Diamonds, on the other hand, are found in the rough with the same black color they display when they are bought. Needless to say, the real appeal and value of natural fancy black diamonds are in their unique and rare color, which is only the case if they are found this way. 2. What are Black Diamonds? 3. Are Black Diamonds Expensive? Natural fancy black diamonds are relatively affordable, but obviously it depends on the size sought after. Treated black diamonds, however, are significantly less expensive and the demand is quite low as most prefer the real thing. Natural Fancy Black Diamonds will likely cost anywhere from $3,000 to $5,000 per carat. 4. How Are Black Diamonds Made? Unlike other color diamonds that receive their color from geological impurities such as nitrogen, hydrogen and boron, raw black diamonds owe their color to the inclusion of graphite and random clustering throughout the diamond. Over the years, popularity of black diamonds has increased dramatically due to celebrities who have been seen sporting black diamond jewelry. 5. Where Do Natural Black Diamonds Come From? Natural Black Diamonds are found in very few locations. These locations include Brazil and Central Africa. 6. Are Black Diamonds Rare? Natural fancy black diamonds are indeed more rare than common colorless diamonds. There are 2 kinds of black diamonds in the marketplace, diamonds that develop their natural black color during their formation deep beneath the earth's surface, and diamonds that are enhanced (heated) to display a black color. 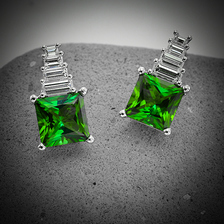 While they are by no means the rarest occurring color in nature, they are one of the most valued for their artistic beauty and dark allure, and are often incorporated into Men's jewelry as a masculine touch. 7. What are Enhanced or Treated Black Diamonds? Since natural fancy black diamonds are quite rare, some diamantaires began artificially enhancing low quality colorless diamonds by burning them while still in their rough state until they receive the opaque black color. This obviously brings down the price considerably, compared to the price of a natural fancy black diamond, but the process is entirely artificial and will not be graded by the GIA. 8. How Do You Determine the Quality of Black Diamonds? When it comes to Natural Fancy Black diamonds, it is strongly advised to purchase one that has been graded by the GIA (or another reputable lab), since this is the only way to know for sure if it is a natural fancy black diamond, or a diamond which has been treated. With natural black diamonds, best to choose a stone that appeals to you in terms of its shape/size/luster - as these are the most important aspects to consider. When it comes to grading natural black diamonds, the GIA provides an Identification and Origin Report which includes the color grade (black), color origin (natural), carat weight, and diamond measurements. As it is an opaque stone there will be no mention of the make (polish/symmetry etc). 9. What is the Difference Between Black Diamonds and White Diamonds? Black and white diamonds are almost exactly the same except for the fact that the black color is produced by the inclusion of graphite in the crystalline structure during the diamond's formation, before the kimberlite deposits reached the Earth's surface. Therefore, the only difference between them is that black diamonds have the graphite inclusion and colorless diamonds do not. They are both formed by high pressure on the element of carbon under the Earth's surface, that produces a repeating geometric pattern in the crystal lattice. Black diamonds are completely real diamonds and almost exactly the same as colorless diamonds except for the color. 10. 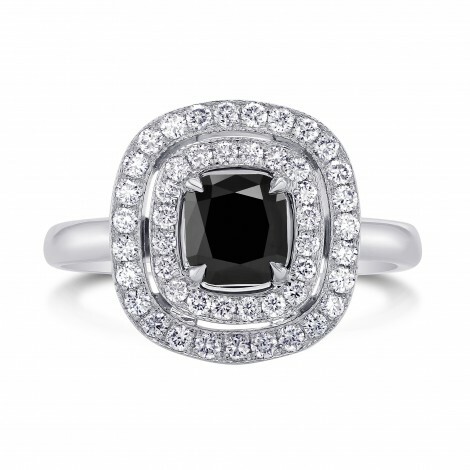 What is the difference between black sapphires and black diamonds? As we already know, natural black diamonds are very rare, and produced by the inclusion of graphite in the crystalline structure during the diamond's formation. 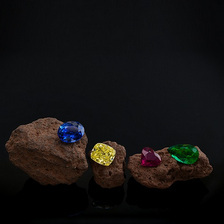 Black sapphires, however, are made of corundum with inclusions causing the color of the stone. 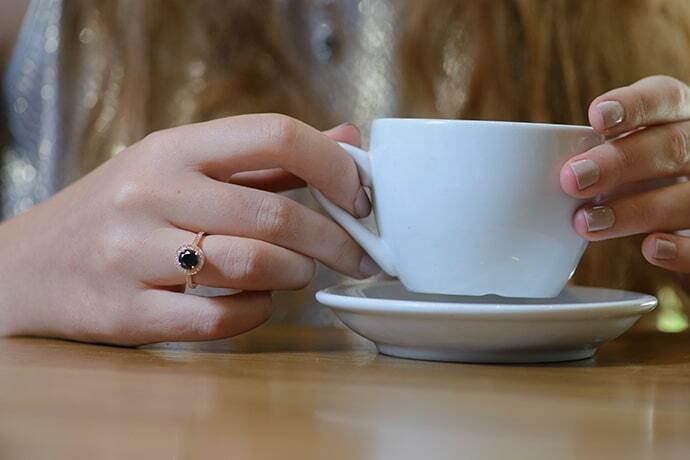 Unlike natural black diamonds, black sapphires are found in abundant quantities with most originating in Australia. If you truly want a special black diamond, then it is highly advised to look only for a natural Fancy Black Diamond. These beauties received their mesmerizing color from Mother Nature. Compared to many other colored diamonds, or colorless diamonds, Fancy Black Diamonds are rather inexpensive. Leibish & Co. holds a large selection of Fancy Black Diamonds. If you have looked into buying color diamond jewelry you may have noticed on the Internet that there are more pieces displaying black diamonds than most other colors of diamonds. This is because many of them have been enhanced or treated, and are not nearly as valuable as Natural Fancy Black Diamonds. It is important to specify that you are looking for the rare Natural Fancy Black Diamond, and not an imitation, when you are buying black diamond jewelry from your jeweler. Assuming your jeweler is a trusted and certified professional, he will provide you with the real thing and not an enhanced version. Ask to see the GIA certificate and receive the original copy with your jewelry purchase, as you can trust that the GIA only grades natural black diamonds as an assurance of its genuineness. With the affordable prices, it is worth your while to own the real deal, which is only available at select diamond dealers. 12. Who is Famous for Wearing Black Diamonds on the Red Carpet? Gwenyth Paltrow is famous for having worn a chain-link pave black diamond bracelet at the Emmy's in 2011, and Angelina gave a pair of pave black diamond serpent cufflinks to husband Brad Pitt. 13. Are There any Famous Black Diamonds? 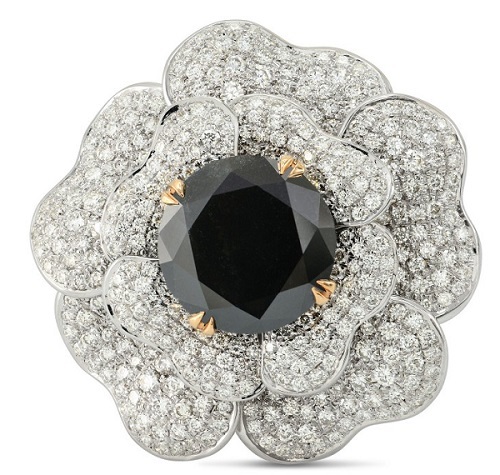 The most famous black diamond of all time is the Black Orlov, a 67.50 carat, cushion-cut diamond brooch surrounded by 108 white diamonds and suspended from a 124-diamond necklace. Legend has it that the Black Orlov, also known as the "Eye of Brahma" was an uncut black diamondof 195 carats, pried out of the eye of the statute of the sacred Hindu God Brahma, from a temple in Southern India. It takes much from the story surrounding the legendary Hope diamond. 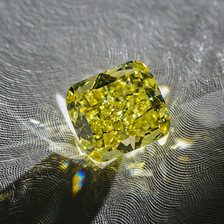 Other famous black diamond include the Gruosi diamond, the Table of Islam, the Korloff Noir, the Black Star of Africa, and the Spirit of de Grisogono diamond. 14. Are Black Diamonds a Good Investment? 15. How Do I Care For My Black Diamond? Care for your black diamond the exact same way that you would care for any diamond. The best way to clean a diamond is with a professional jeweler, who will power steam a piece of jewelry to remove all of the dirt and grime. 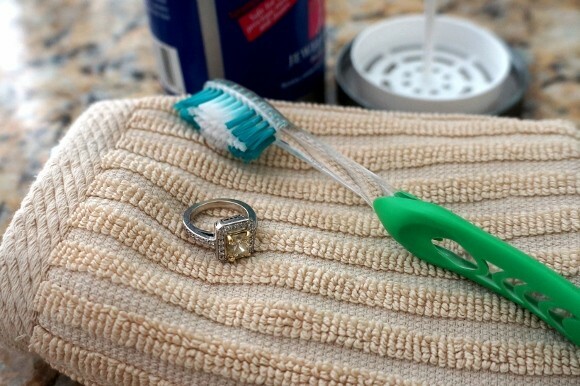 However, if you are cleaning your diamond at home, the best way to clean it would be with a gentle brush like a toothbrush, and a gentle soap like dishwashing liquid. Carefully brush the piece of jewelry with the soap and rinse under warm water. Dry with a polishing cloth for best results. 16. Do Black Diamonds Look Good as Jewelry? Black diamonds look wonderful on jewelry, and have been seen as the glowing centerpiece of jewelry for both men and women, from cufflinks to engagement rings, wedding bands, bracelets and necklaces. Like all diamonds, you are most likely to see, appreciate, and enjoy your diamonds when they are set in a piece of jewelry for you to enjoy, and there is absolutely no risk to the health of your diamond if you wear it and use it. For this reason, many people let themselves fall in love with a specific diamond and set it into a piece of jewelry so that they can fully enjoy their purchase to the greatest extent possible. Whether it is to celebrate a special occasion or something that you bought just because, a diamond is a beautiful gesture of eternity, heritage, and love and we encourage you to enjoy it forever. 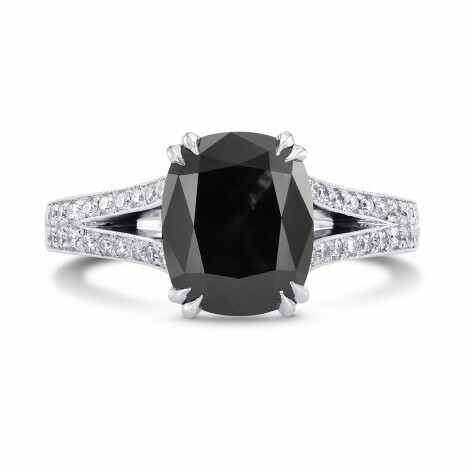 Black diamond rings are becoming increasingly popular, not only because of their lower price point, but also because of their unique, opaque color and gorgeous luster and shine. They are also a gorgeous alternative for those less traditional brides, who are looking for something a little more edgy. Black diamonds look incredible as earrings, especially when paired with bright white diamonds. The contrast of color is not only eye-catching but elegant and classy as well. 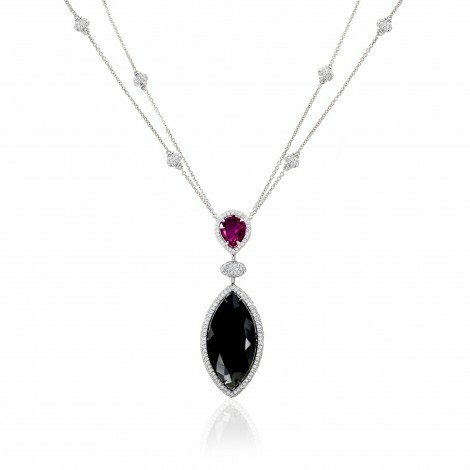 Black diamond pendants may be less common than other colors, but they shouldn't be. Whether paired with white diamonds and/or other color gemstones, a black diamond necklace serves as the perfect accessory for just about every occasion. Bracelets using black diamonds are being seen more and more frequently both on the red-carpet and off. 17. 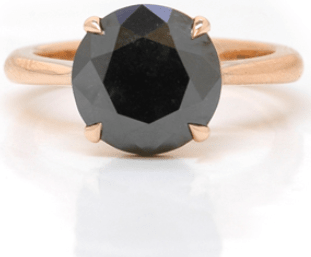 Can I Wear a Black Diamond as My Engagement Ring? 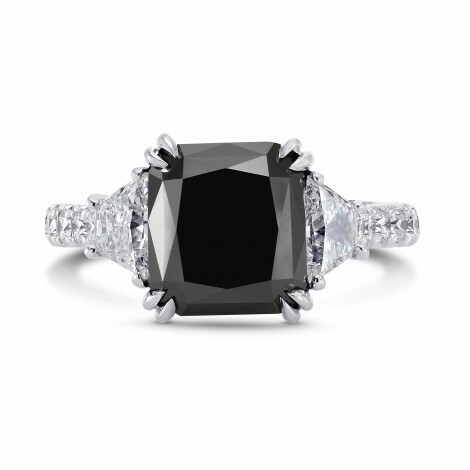 The best way to determine if your black diamond is real is with a certified gemologist or lab, such as the GIA. Although, if you are sure the diamond is real, but wondering whether it is natural or enhanced (heat treated), there is a way to check at home. For this you will need a magnification glass and a strong source of light. If the diamond has been enhanced strong light will pass through it and you will notice either an overall greenish or bluish cast, or glints of green or blue when looking from different angles. If the black color is natural, you will see a "salt and pepper" effect inside of it - alternating areas of black and white - when you examine it against the light at high magnification. There will be no hints of green or blue. A good rule of thumb when purchasing a black diamond, is that unless it comes with a report from a reputable lab, assume that the diamond is color enhanced, or another stone altogether. So, do black diamonds sound interesting? 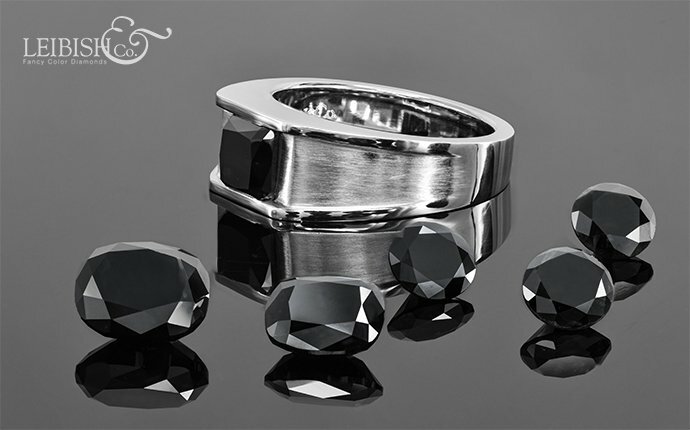 Have a look at some of our amazing black diamond jewelry.